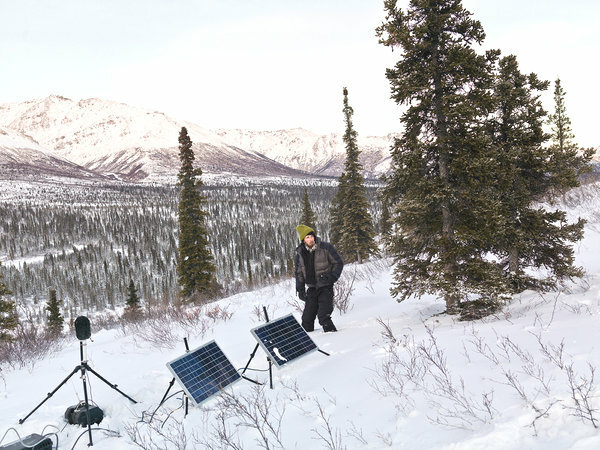 The phrase “sound ecology” is what first drew me to the field. What’s more natural than the perception of sound? However, I later learned eco-researchers more accurately describe their work as “acoustic ecology.” While this is a relatively new discipline (1970s or so), there has always been a formidable lineage of avant composers and philosophers astutely conscious of the power of the natural sonic experience. Kim Tingley’s Times magazine article, “Whisper of the Wild” was my introduction to sound studies and is still a powerful statement for what sound ecology is truly about. And I know of no other living composer whose music is as inseparable from nature as John Luther Adams. So to begin my exploration of acoustic ecology I figure Adams is as good a base camp as anyone. Adams was born in Meridian, Mississippi in 1953, though he’s lived in Alaska since 1978 and it’s almost impossible to imagine him composing anywhere but the bleak tundra of the rural North. He was raised on the classic diet of mid-century avant-gardism–Varèse, Cage, Stravinsky–but it wasn’t until he heard the expansive and subdued music of Morton Feldman that he first found inspiration. After graduating from the inaugural composition class at CalArts in 1973, he moved Northward to pursue Environmental Protection. I’ll let Alex Ross piece together the rest of the story of Adams as a uniquely American composer in his feature, “Song of the Earth.” I’ll just say that the irony/mix-up of John Adams v. John Luther Adams is always entertaining. While the latter’s music takes more patience to unpack, his compositions are just as Romantic (with a capital R) in the same way they are nature’s own minimalism. Enjoy John Luther Adams’ orchestral work from 200, The Light That Fills the World. And this live performance of Dark Waves by the Chicago Symphony from 2007. This entry was posted in Issues and tagged acoustic ecology, composition, environmental. Bookmark the permalink.